A truly iconic and immeasurably important card from the 1930s. 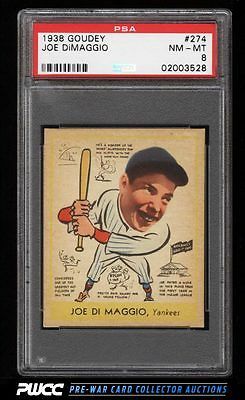 Highly undervalued and represents DiMaggio's first main-stream production, considered his Rookie Card by my collectors. A dead centered and beautifully conditioned example boasting uncirculated surfaces and four square corners. All told this is a world class investment piece which represents the best this hobby has to offer. Enjoy! One of nearly 20,000 cards, lots, and sets up for bid in our 7th Auction of 2016. Click on the link above to view the other PWCC auction lots.